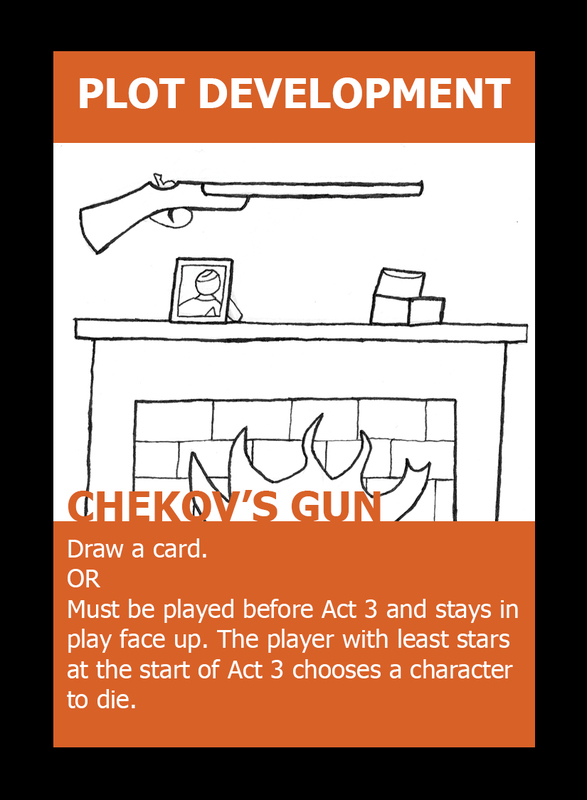 A card-based tabletop game about making a film. 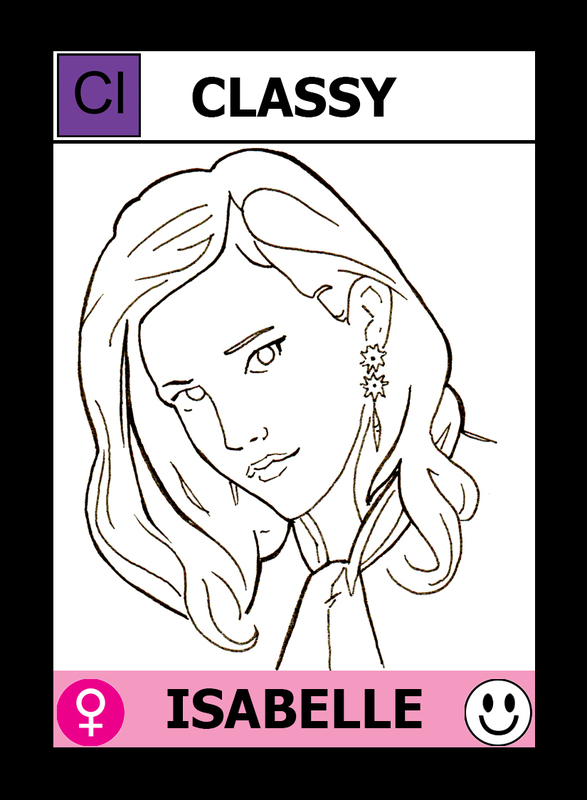 Storyboards is a card-based tabletop game about making Hollywood's next blockbuster film through the perspective of the writers. 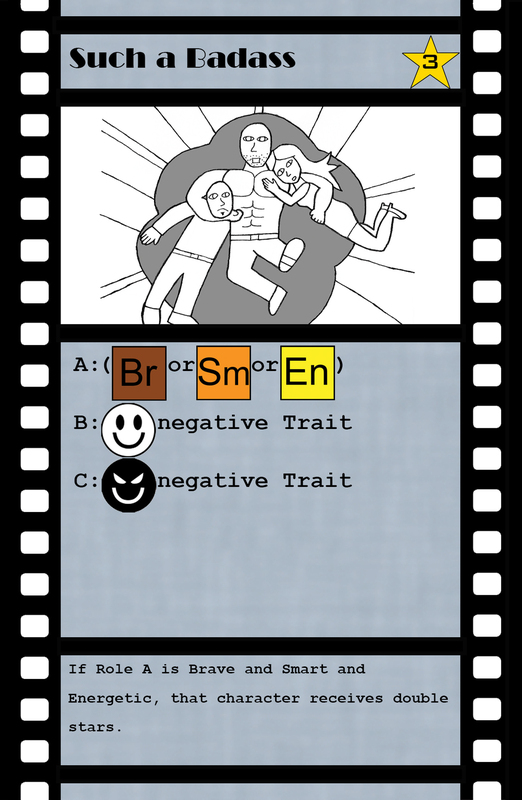 In Storyboards, each player controls some of the characters in the film. 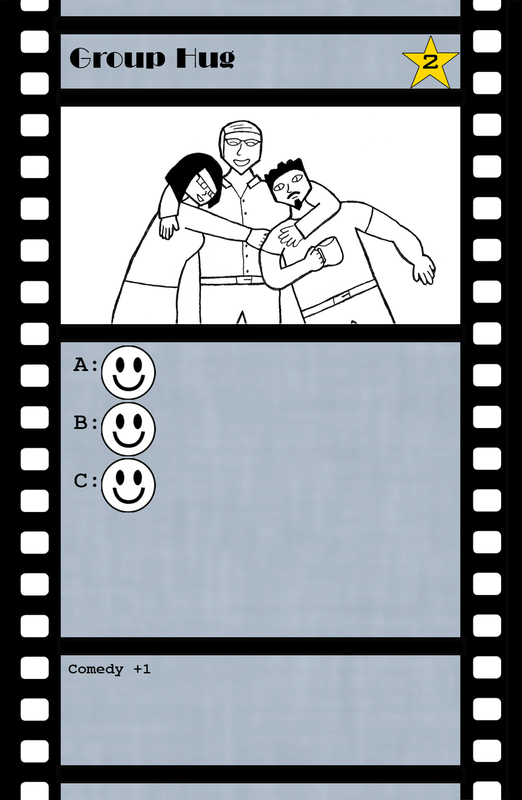 As you play through the three Acts of the film, players have to work together to make the film, but each player wants their characters to have to biggest role and be the Hero or the Villain. Develop your characters by assigning them character Traits, set the Tone of the film to your advantage, use literary devices to attack other characters, and be ready for a surprise plot Twist at any moment. Storyboards is completed and currently seeking a publisher to license the game.